You may remember my dear friend Jill from past posts about her. We have been friends for almost 20 years now (HOLY CRAP!) and it’s been a joy watching her kids grow up. I still can’t wrap my mind around the fact that I photographed her son proposing to his girlfriend. He’s supposed to still be 8 years old and getting scolded for using his heelys in Target! Ha! 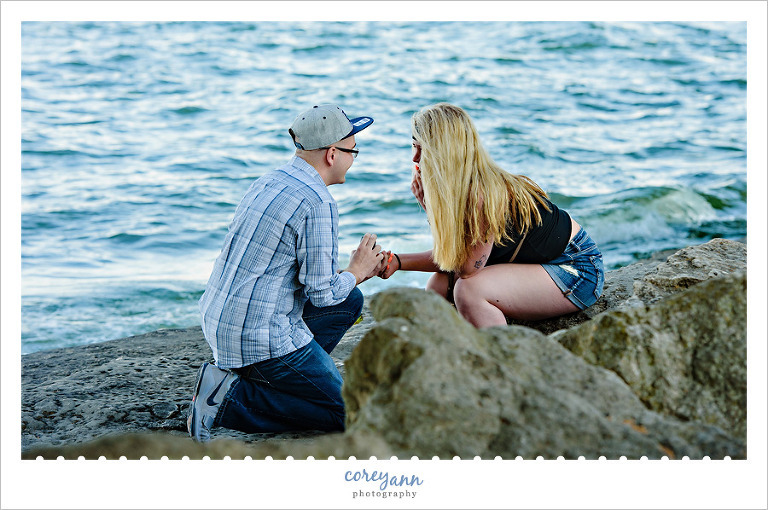 Sigh, now that I’m done feeling old, it’s onto this magical proposal from last summer that was months in the making! A few years ago my friend Jill made the trek across the US from Colorado to Boston and her kids were eager to redo the trip again. Schedules worked out and they were able to make it happen again. 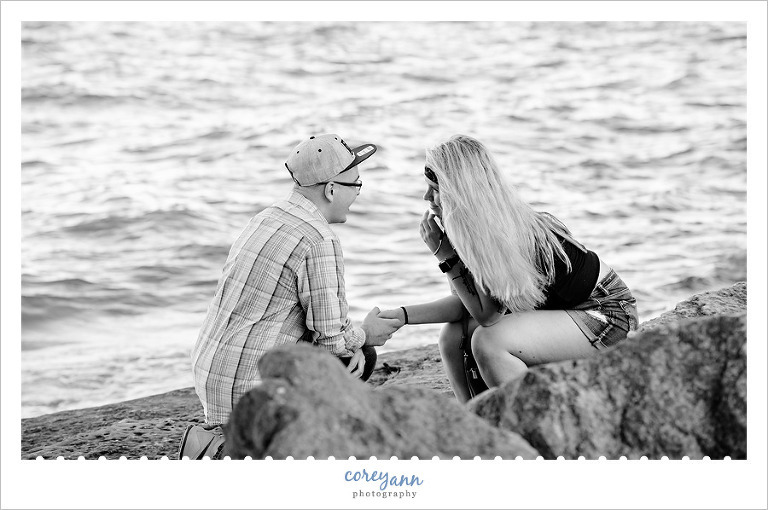 Jill’s son Tyler knew he wanted to propose to his girlfriend Kaiti and Jill reached out to me to see where a good place would be around Cedar Point. Jill and I both have a love for lighthouses (she joined me on my yearly Maine trip a few years ago!) so of course I suggested the beautiful Marblehead Lighthouse. Tyler agreed and the plans were set. 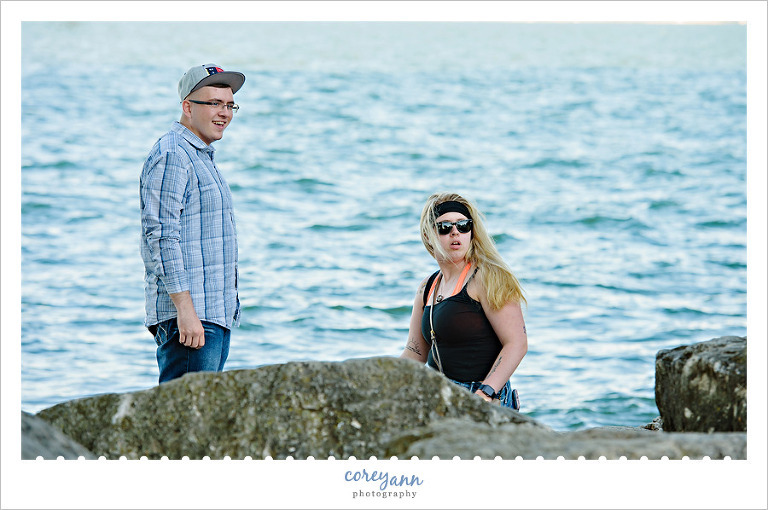 Of course as with any proposal there was a ton of planning while Kaiti remained clueless. We all met up at the hotel after they arrive after their long journey which, as always, was eventual. Aren’t all road trips?? After they dropped off their luggage we headed off to Marblehead without Kaiti having a clue as to what was up or who was also waiting at their destination. We arrived at the lighthouse and it was packed. PACKED. 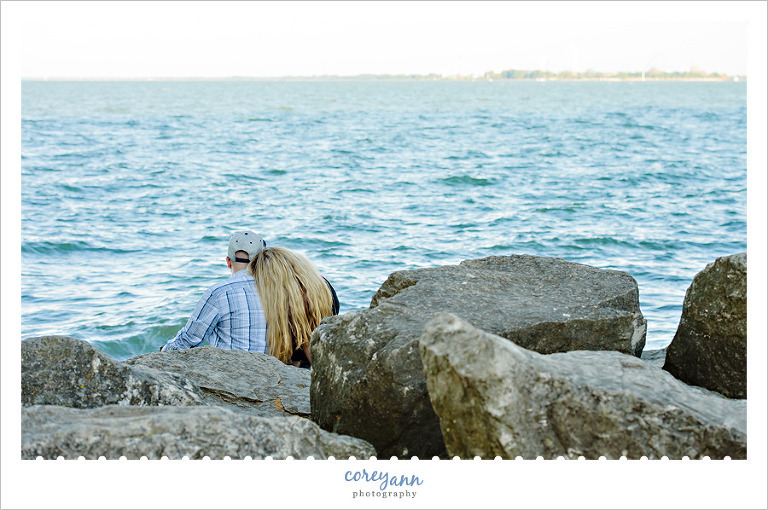 We finally drift away from the lighthouse and find a quiet nook where the two lovebirds went to the shore while we let them have their space. We were then joined by Kaiti’s Mom who flew out from Colorado to see her little girl get engaged! Of course the best laid plans…. Just before Tyler proposed Kaiti saw her Mom and tried to leave Tyler to go to her and then he had to show his hand… literally with the ring! She said YES and there was lots of OMG and tears. The ring, of course, was perfection. It was SUCH a great day and evening and I am so glad that I could be there to document such an important event.